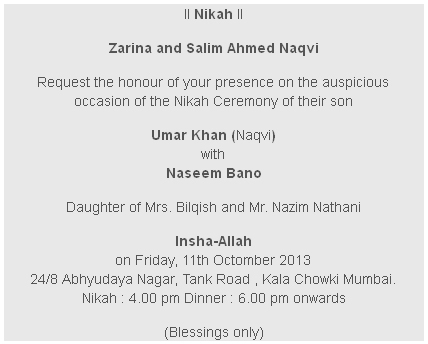 Shown below is a sample of Muslim (islamic ) wedding card wordings in English for inviting guests for their courteous presence on your daughter’s wedding. 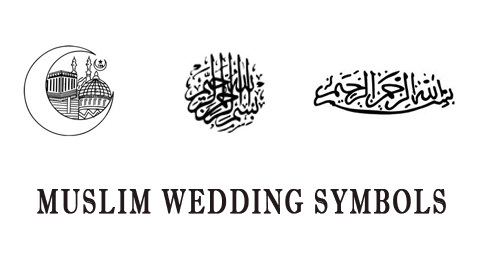 You can use the islamic Wedding Card Wording examples in invitations for inserting text in the matter for Daughter’s Wedding Card. 24/8 Abhyudaya Nagar, Tank Road , Kala Chowki Mumbai.